An ancient note from 1896. 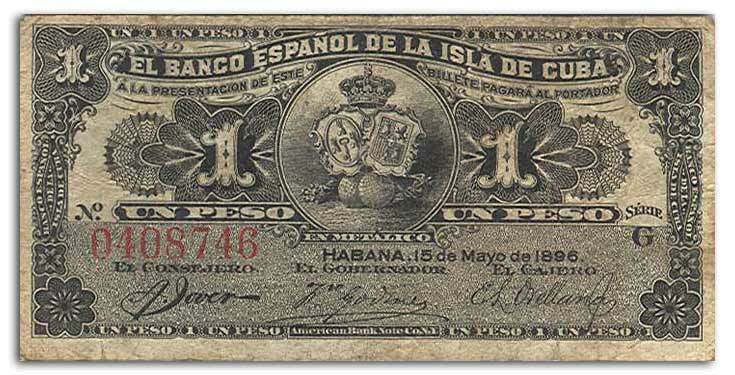 One whole big gigantic peso, issued by the Spanish occupiers, whose reign would come to an end two years later. Do not stare at the heap of Spanish royal symbols, because after sufficient contemplation they’ll creep you out. It’s like a headless thing with plates for arms and horse nuts for legs.